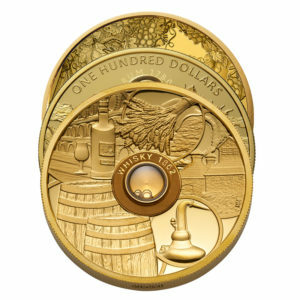 Spirit Coins series encapsulate drops of the oldest spirits in the world – whisky, rum and cognac. Those vintage liquors are real time capsules, which take us back to long-forgotten world. 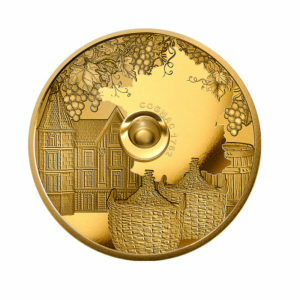 Today they become hearts of exceptional gold coins. 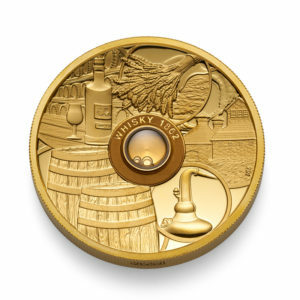 A drop of alcohol kept in the Whisky Coin is the oldest whisky in the world, Old Vatted Glenlivet 1862. 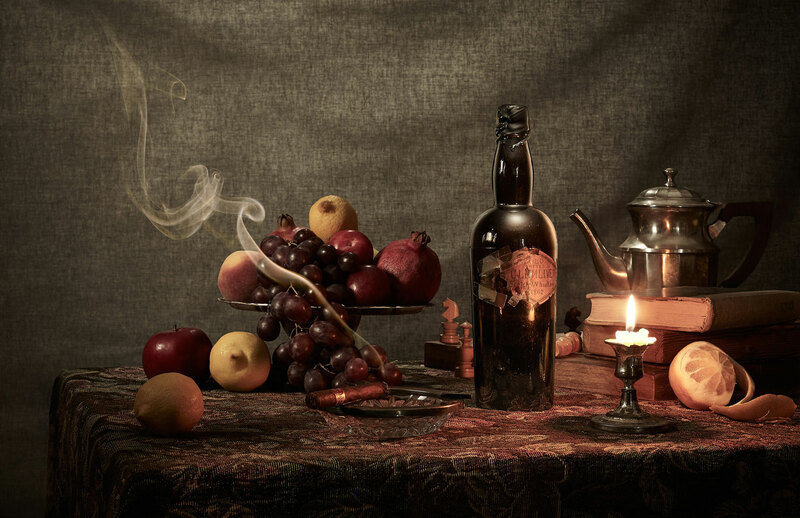 When this extraordinary whisky was distilled among Scottish hills, the world was just in the middle of the age of steam, undergoing changes driven by the Industrial Revolution. This whisky is a real unique piece in the Wealth Solutions company’s collection. This genuine beverage was used in the project by courtesy of Sukhinder Singh, a famous British collector of rare alcoholic beverages and owner of The Whisky Exchange. 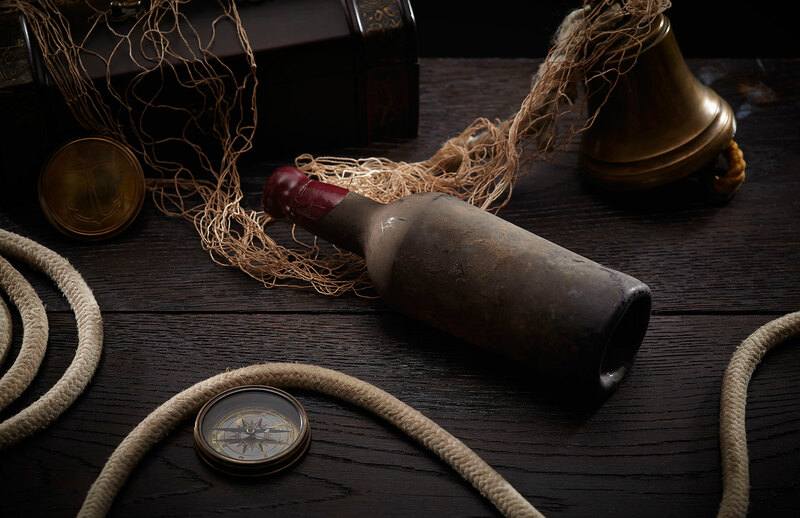 1780 Harewood Rum was distilled almost 250 years ago in Barbados. Its name came from the Harewood estate in central England, where the bottle of this unique spirit was found in 2011. 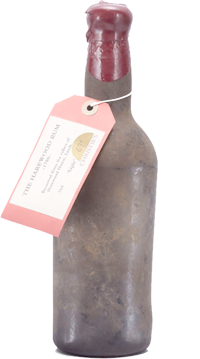 Shortly after it had been found, the 1780 Harewood Rum bottle was moved to the Wealth Solutions’ collection. 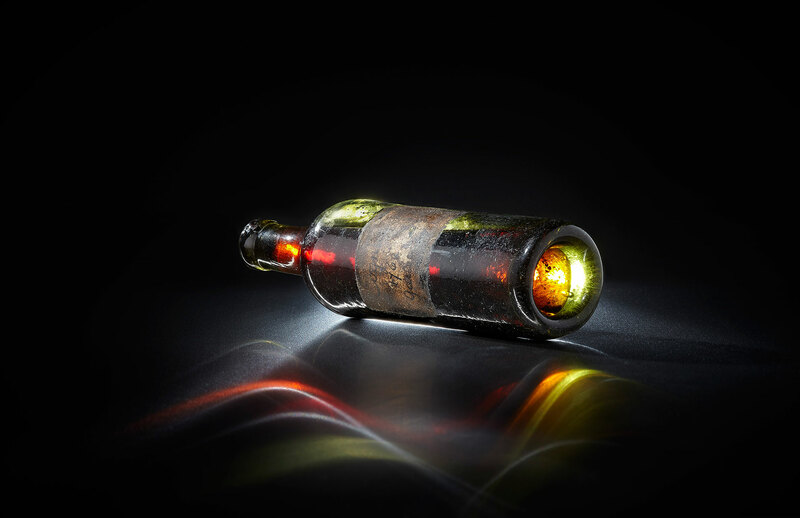 This spirit also entered Guinness World Records as the oldest rum in the world. 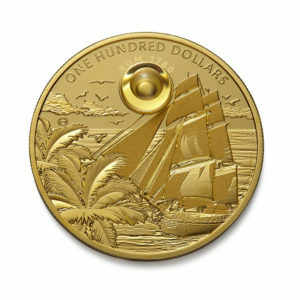 Now, this alcoholic beverage is launched in the market in a new form, encapsulated in a gold Rum Coin. The elusive spirit of the old days enchanted in a precious metal. Sounds like a fairy tale, but it’s actually a tangible object! 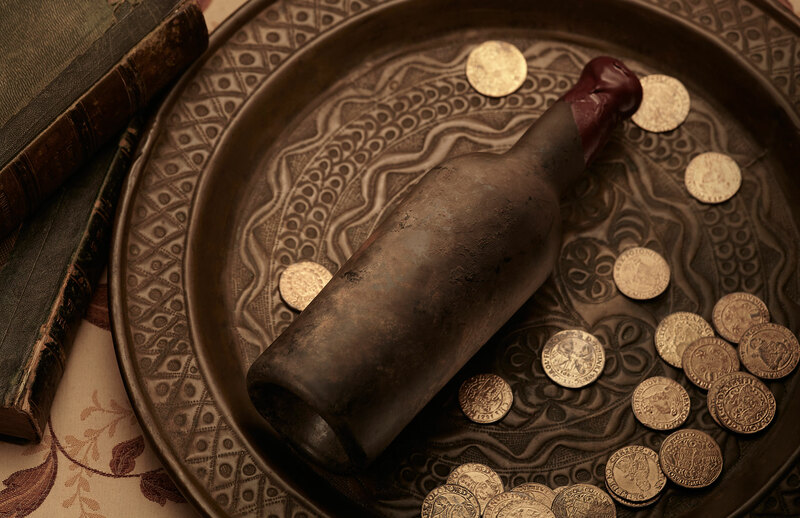 Centuries-old alcoholic beverages have been hidden in an edition of collectible gold coins. The Spirit Coins are 3 unique collector’s items: Whisky Coin, Rum Coin and Cognac Coin.